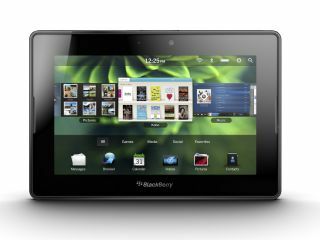 RIM has announced a second software update for its new BlackBerry PlayBook tablet, which users will be able to download, over-the-air, in the coming days. Announced on the official RIM blog, BlackBerry Tablet OS v1.0.5 will feature a new version of the first tablet-optimised Facebook app, that will now be baked-in to the PlayBook. The Facebook app now includes video uploading, improved search as well as better access to Pages and the ability to delete messages. Another change to OS v1.0.5 is an in-app payments system, charging when the device is powered down, alerts when you're using the wrong charger and there's also a battery-level pop-up. RIM has added support for a host of new European languages and improvements in Wi-Fi hotspot detection, video chat connectivity and the ability to boost the volume when wearing a headset. The improvements seem pretty minor when you consider that PlayBook users are still waiting for a native email client (users still need a BlackBerry smartphone to power email) and a more expansive app catalogue. RIM had also promised that an Android apps emulator would also be up-and-running soon after launch, but that update is yet to be forthcoming. This update is all about making some minor adjustments, but RIM is going to need to put its foot on the pedal if the PlayBook is to shake its image as an unfinished project.